Thankfully, there are plenty of regular, relatively inexpensive flights between Los Angeles and Mexico City. We pulled from travel site Skyscanner to provide you with a short list of flights and hotels handpicked with the trendy adventurer in mind. Currently, the cheapest flights between Los Angeles and Mexico City are if you leave on May 14 and return from Mexico on May 19. Volaris currently has tickets for $184, roundtrip. There are also deals to be had in August. If you fly out of Los Angeles on Aug. 15 and return from Mexico City on Aug. 22, Volaris can get you there and back for $185 roundtrip. For another top recommendation, consider The St. Regis Mexico City. The hotel has a five-star rating on Skyscanner, and rooms are currently available for $255. If you're looking for a popular spot to grab a bite, Mexico City has plenty of excellent eateries to choose from. Here are two from Skyscanner's listings to help you get started. 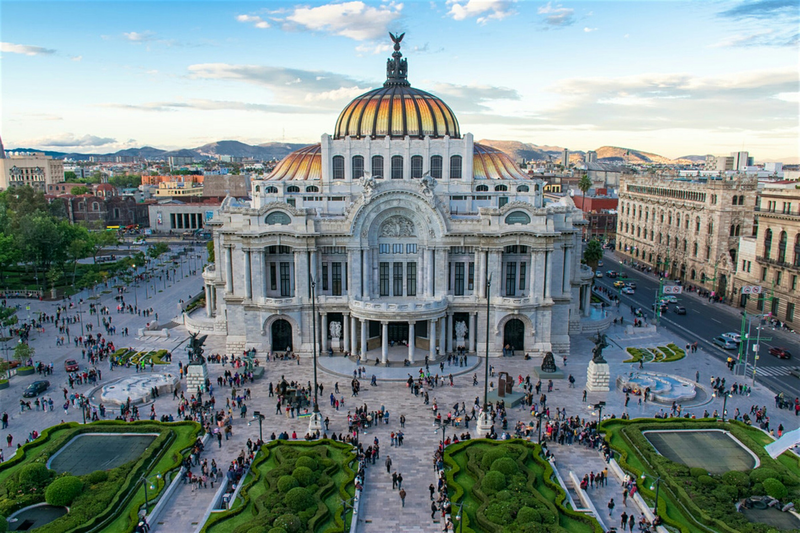 To round out your trip, Mexico City offers plenty of popular attractions worth visiting. Here are two top recommendations, based on Skyscanner's descriptions and reviews. First, spend some time at Callejon Regina. It has five stars from five reviews on Skyscanner.